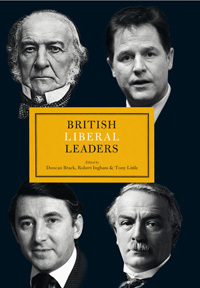 Liberalism has been built on more than three centuries’ work of political thinkers and writers and the aspirations of countless human beings who have fought for freedom, democracy, the rule of law and open and tolerant societies. 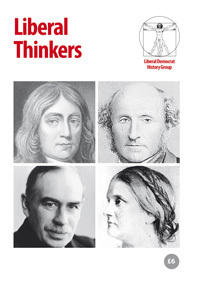 This History Group booklet is an accessible guide to the key thinkers associated with British Liberalism, including John Locke, Adam Smith, Mary Wollstonecraft, Richard Cobden, John Stuart Mill, L. T. Hobhouse, John Maynard Keynes, William Beveridge and many more. This second edition updates some of the entries in the first (2014) edition, and adds one new entry in place of one of the previous ones. 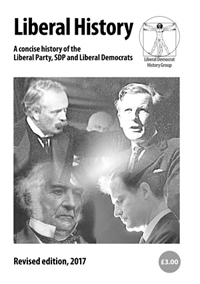 Full price £6; 20% discount for Journal of Liberal History subscribers, see page 3 of the most recent issue of the Journal for the discount code to apply when ordering this item.